Karlovy Vary was a very pleasant surprise to us when we stopped for a visit. 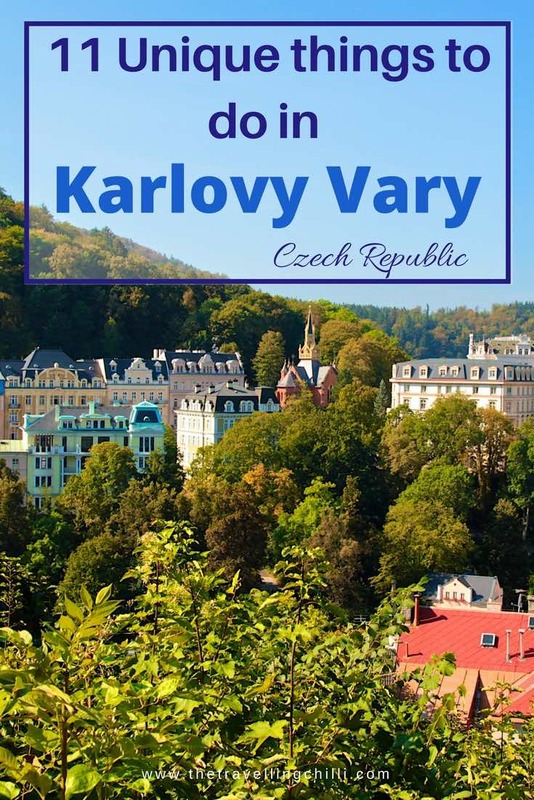 We had absolutely no idea what to expect or what there was to know about Karlovy Vary and did not know much about the things to do in Karlovy Vary or the things there were to see. When we drove in and saw a first glimpse of the beautiful and colourful architecture, we immediately decided to stay over for two days and take time to explore the city. Karlovy Vary is also often called Carlsbad, or Karlsbad in German. We visited Karlovy Vary as part of our road trip from Belgium via Prague to Budapest. Karlovy Vary was like nothing we had seen before. The amount of elegant buildings housing the legendary spas, all in various pastel colours and almost countless. Karlovy Vary is named after Emperor Charles IV. 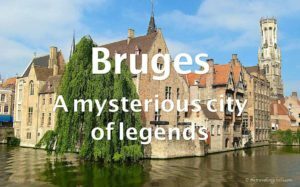 The story goes that he had the town built at the end of the 14th century after the discovery of a hot spring of which the healing water had cured his injured leg. Carlsbad and its spas boomed in the 17th century when it was mainly visited by rich aristocrats from Russia, Poland and Saxony. The most prestigious visitor to Karlovy Vary was Peter The Great. Over the centuries, the town has been privileged to receive many famous visitors like, Goethe, Ludwig von Beethoven and Chopin. 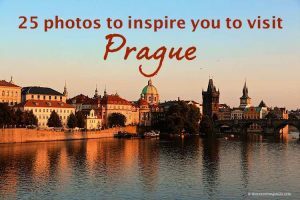 What to do in Karlovy Vary? The main attraction for tourists to visit Karlovy Vary are without doubt the various mineral springs. The healing water of the thermal springs is accessible to the public via 15 hot springs all around the city. What is so special about this mineral water is that it has healing effects when drinking from it. The water contains many elements and minerals and should have a positive effect on the entire digestive body system when drinking it. Furthermore, the various hot springs range in temperatures from 30º up to 72º C and have different gas levels to which they therefore also have different curative effects. To visit all 15 mineral springs is a great way to get to know and get around the city, since they are all located in the most beautiful buildings and it is definitely a very unique thing to do in Karlovy Vary. We visited Karlovy Vary during the weekend on a nice hot summer day. 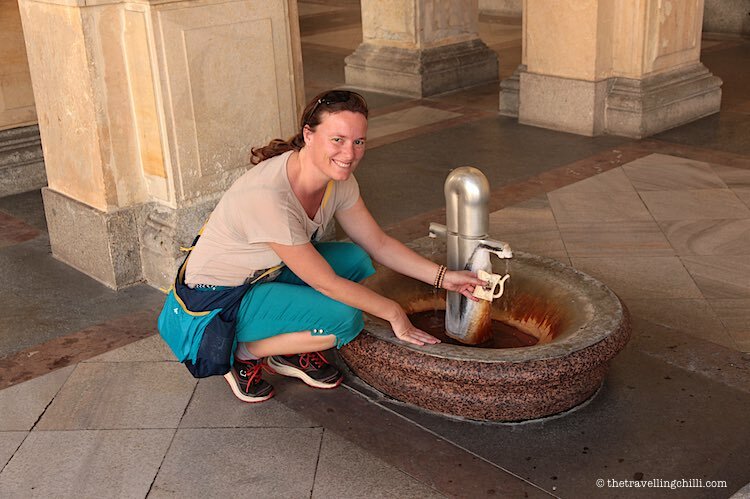 A lot of locals were having their walk in town, with a funny looking cup all drinking water from the thermal springs. This cup appeared to be a traditionally shaped ceramic cup made especially for drinking the hot thermal water, since it preserves the temperature and CO2 levels. It has a little pipe which works like a straw. These cups are available everywhere in town so we bought a small one. It did not really look good to fill up a water bottle while everyone was having these beautiful ceramic cups. They have beautiful paintings on them and make a great souvenir, which also does not take up too much space in your luggage. When you get your cup you can start your tour of the city to find all 15 springs and have a taste of this healing water. It is said that before doing treatment your should consult a medical doctor because of the specific curative effects. Nonetheless, you should at least try this water. It does have a very specific sulphurous flavour and it feels weird drinking hot water out of a straw. All in all, drinking the healing water with a traditional cup is a great thing to do in Karlovy Vary. Karlovy Vary is often pictured by its beautiful and elegant colonnades. All five of the imposing colonnades have their own unique architecture and style and all of them host some of the thermal hot springs. The Mill Colonnade of Karlovy Vary is the most popular as well as the most impressive one. Finished in 1881, it is 132 metres long with 124 Corinthian columns over its length. It has in total five mineral springs under its roof and makes a spectacular promenade from one side to the other while sipping from a cup of healthy water. A 4 metres tall sand statue of Emperor Charles IV is standing proud at one end of the colonnade. The other colonnades are the Park Colonnade, the Castle Colonnade, the Hot Springs colonnade and the Market colonnade. The Hot Spring Colonnade, a modern structure, houses the highest and hottest spring. Due to the pressure the spring rises up to a mere 12 metres. Becherovka, previously known as Karlsbader Becherbitter is often referred to as an additional ‘spring’. It is the typical alcoholic drink from the Czech Republic. 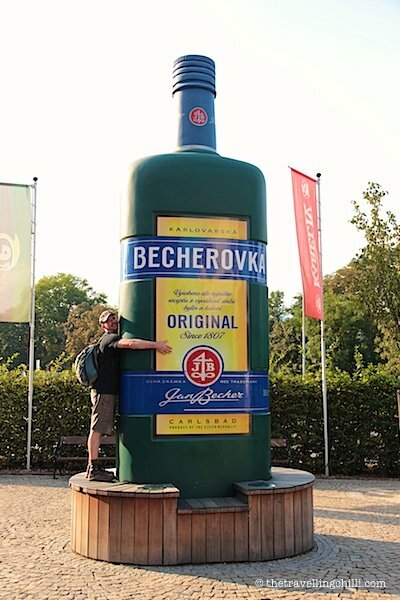 Becherovka is made based on a secret recipe containing over 20 different herbs. 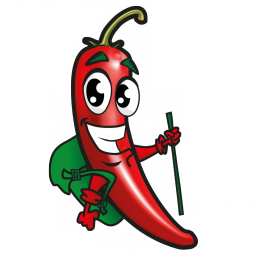 The company says that only two people know the secret recipe and once a week, one of them makes the secret herbal mixture. The museum is open to visit and provides various tours. It will take you through 200 years of history. We unfortunately arrived after closing time but luckily the shop was still open. So we just settled with a small bottle of the herbal bitter. It actually has a very nice taste and is worth trying. More information about the museum here. Something you should do when in Karlovy Vary, but that we unfortunately did not (so we have to go back for it) is let yourself be indulged in one of the legendary spas. I believe it is one of the better spa experiences you can have. Many of the hotels offer spa treatments and other spa facilities. A whole treatment can last from 1 up to 3 weeks. The main ingredient for the spa treatments is the healing geothermal water. You can check if your hotel offers spa packages, which would be a great deal. Karlovy Vary has a wide range of hotels, but there is one hotel that stands out, the Grandhotel Pupp. The hotel was built back in 1701, but was named the Saxony Hall. The eminent Hotel Pupp hosts yearly one of the oldest film festivals in the world, the Karlovy Vary International Film Festival. The Grandhotel Pupp was also a major inspiration for Wes Anderson’s 2014 movie ‘The Grand Budapest Hotel’. It’s one of my favourite movies, so I was really excited to see the inspiration for the hotel in this great movie. The hotel was also used as a filming location in the James Bond movie ‘Casino Royale’ and ‘Last Holiday’ starring Queen Latifah. Walking through Carlsbad I was so astonished by the beautiful architecture, by the elegance of the buildings and pretty surprised by the variation of colours of the buildings. A whole rainbow of colours catches your eye, from blue to yellow, red and even pink. One cannot get enough of admiring the grandeur of the architecture. It is so picturesque I felt like I was walking in a fairy tale. The best way to explore is to walk around, look around, get lost in the multitude of streets of which after every corner you discover a new gem. One reason why we travel is to try out local dishes and discover new recipes. So the one thing we had to do was have a traditional Czech meal in a local restaurant. There are plenty of great looking restaurants in Karlovy Vary so lots of opportunities for a local meal. Some of the things you should try that are typically Czech cuisine are potato dumplings, cabbage, pork, meat goulash, schnitzel and much more. We also found out that they serve each meal with a lot of tasty sauce. Finish your meals with a delicious local treat, the Karlovy Vary wafers. It is a very popular snack and can be found all over town. The are also called “spa wafers” since they are eaten as a snack in between water drinking sessions. They are large round paper thin wafers, like obladen. The Czech Republic is the country that consumes the most beer in the world per capita, a mere 142 litres per person, per year. That also means that the beer must be good. Coming from Belgium, we love to taste a good and special beer, so beer tasting was on our list of things to do in Carlsbad. Brands like Pilsner Urquell, Gambrinus, Kruzovice and Kozel are actually very nice beers. In Karlovy Vary we tried the Velkopopovicky Kozel and we can recommend it. Moser is a luxury glass manufacturer famous for making decorative glassware and beautiful glass engravings. For over 150 years they have been making glass with so much craftmanship and all by hand that it is one of the most collected decorative glass from the 20th century. You can find the beautiful glass in many shops in the Czech Republic. If you would like to see more, the Moser museum is located in Karlovy Vary. More information about the museum can be found here. 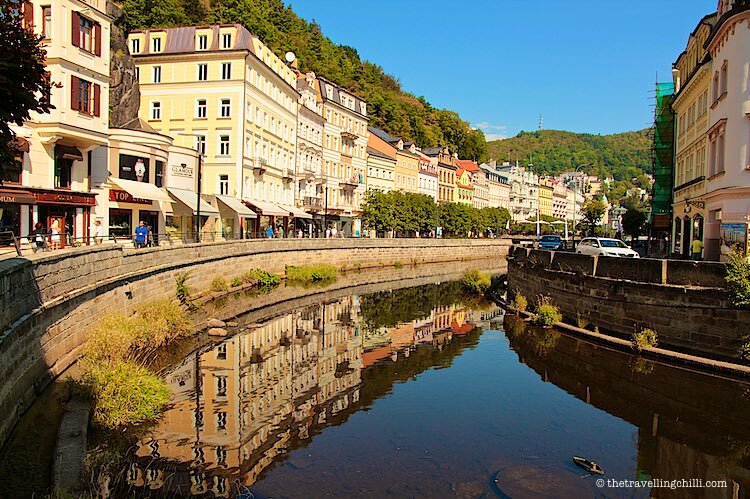 The city of Carlsbad or Karlovy Vary is built along the river Teplá and is surrounded by forests and hills. It’s worthwhile to have a view from the top overlooking this beautiful city. The Diana observation tower is one of those viewpoints. 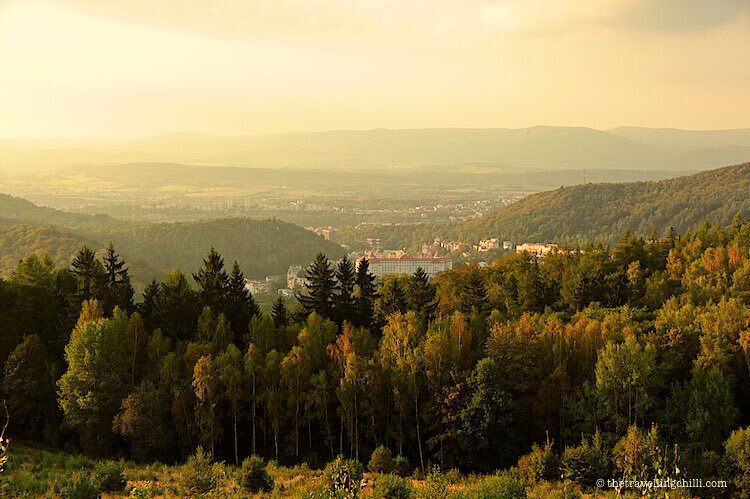 It can either be reached by taking a funicular or via various walking trails. When you have time, the walking trails are really nice through the deep forest. The station of the funicular can be found next to the Grandhotel Pupp. Another great viewpoint is by the Vítkova Hora hotel. This can also be reached by walking trails leading up to the hotel. 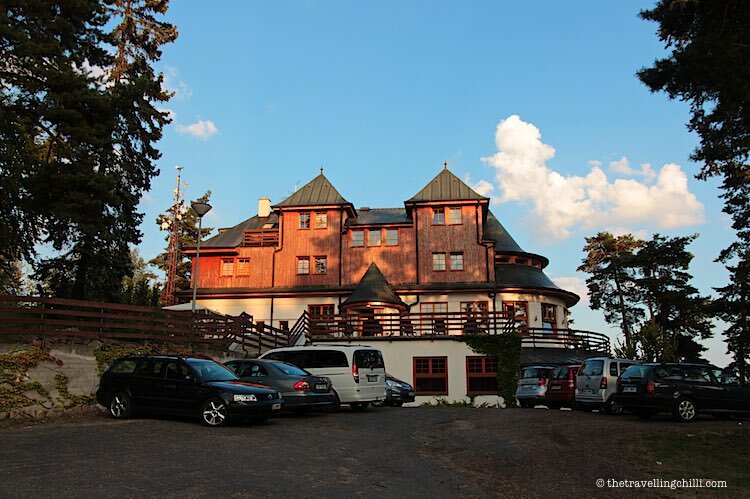 Or if you have a car you can drive via the road Na Vyhlídce up to the hotel. Take a few stops along this road, there are some great viewpoints overlooking the city. If you don’t have a car, you can take the public bus, which we did. It drops you off right by the hotel. And from there you could walk back down to town via the forest walking trails. The hotel can provide you with a map. 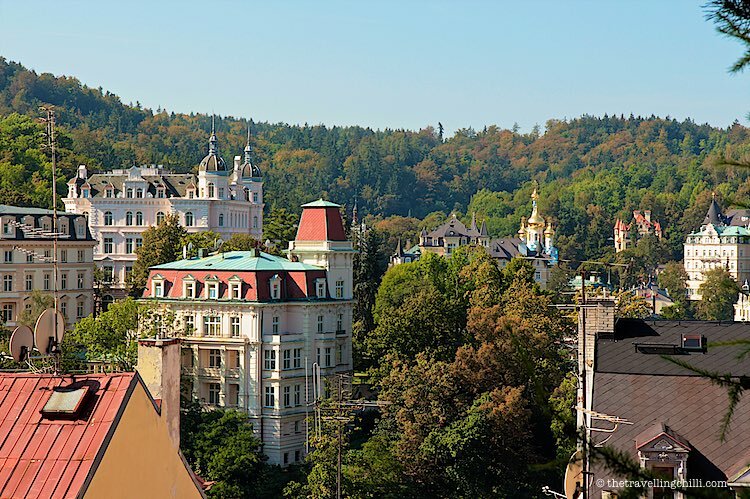 There are over 150 hotels to choose from in Karlovy Vary. Plenty of choices for all budgets. 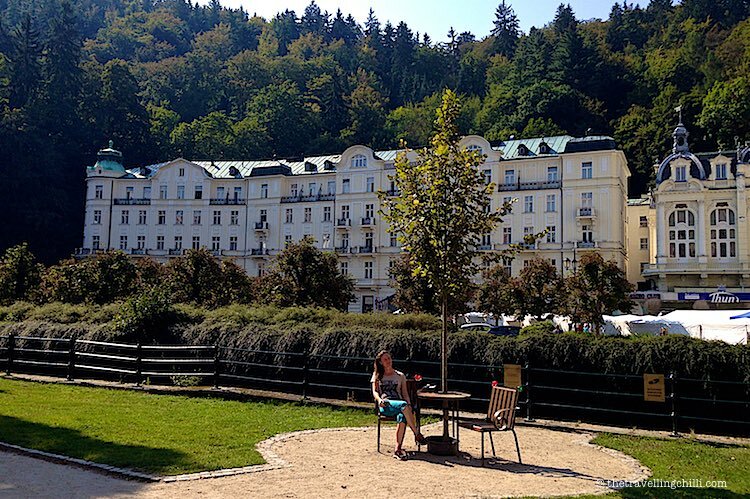 Vitkova Hora – We stayed at this hotel, which is easy reachable when you visit Karlovy Vary by car. It is located on top of one of the hills and gives great views over the surrounding area and the town itself. The place is nice and quiet. The restaurant offers breakfast and dinner, which we can recommend. GrandHotel Pupp – If you want a luxury stay then the GrandHotel Pupp might just be that place. Elegant, beautiful and historical is what the GrandHotel Pupp will offer you. Hotel Imperial – If there is one hotel in town that you cannot miss it is the Hotel Imperial. Standing high up on a hill overlooking Karlovy Vary, it’s elegant and beautiful and one of the landmarks of town. Their spa therapies are famous. 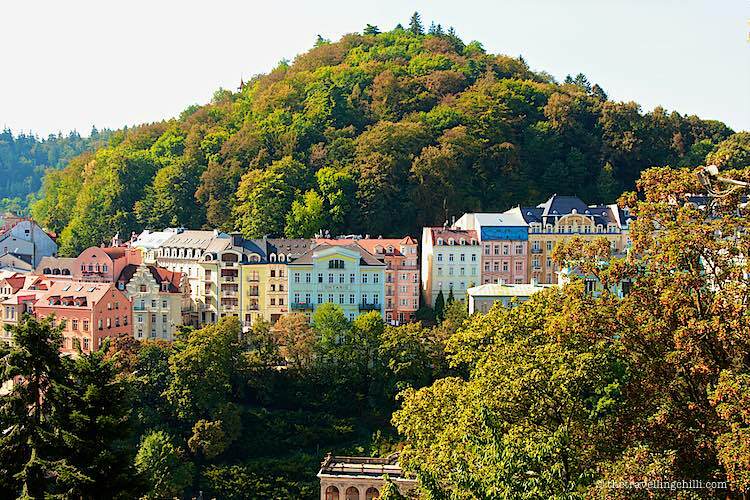 Most people visit Karlovy Vary as a day trip from Prague, after they have seen the highlights of Prague. You can see most of the highlights in one day. However if you would like to indulge yourself in the spa treatments or to fully enjoy all Carlsbad has to offer, we recommend to stay at least 2 days. 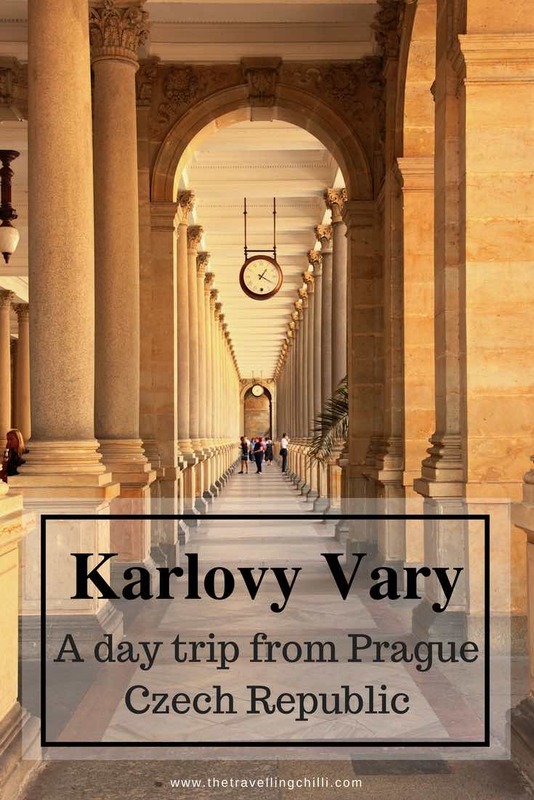 You can get to Karlovy Vary from Prague either by bus or by train. Tickets for the train can be bought at the Prague Main Railway station or for the bus at the Florenc Prague station. If you go for 1 day, it’s better to take the bus, since it is faster. The train will take you around 3,5 hours and by bus just over 2 hours. 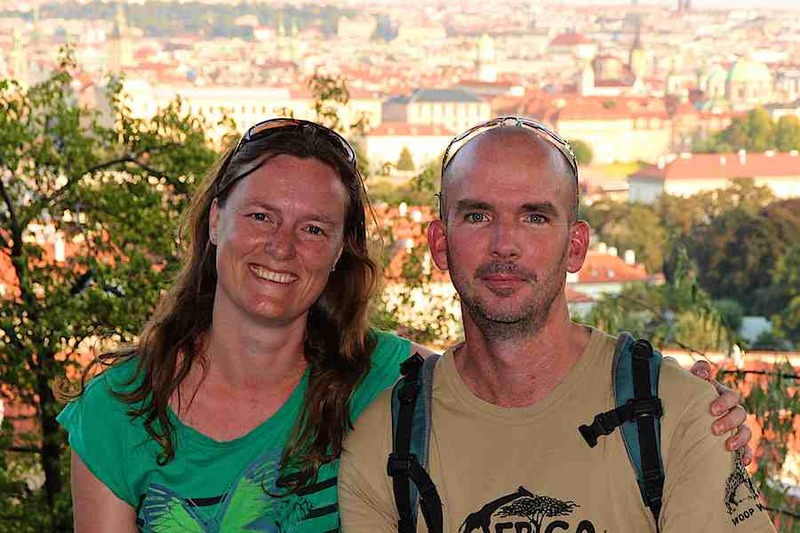 We arrived by car as part of our road trip to Prague and Budapest. Coming from Germany, you pass Karlovy Vary on your way to Prague. Disclosure: Some of the above links are affiliate links as we are participants in the Amazon affiliate programme. This means we earn from qualifying purchases at no extra cost to you. Such a picturesque town! I’ve been in a lot of ‘spa cities’ but I rarely go for the spa — maybe this would be a good place to escape for a little relaxation! Thanks a lot! The food is great indeed. I did not really notice the sweetness in there. Maybe it depends on the type of meat and which sauce goes well with it? I guess it will be good for your health, but they do recommend to consult a medical doctor before doing for a treatment with this healing water. What a lovely looking city! Your post has inspired me to check it out if I am every in that part of Europe. I’ve briefly read about Karlovy Vary before, and was really intrigued. 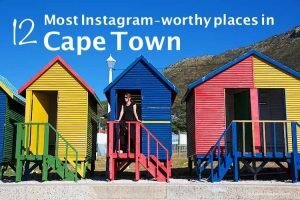 Thank you for writing such an informative and detailed post about the city! I like how the thermal springs were #1…they are definitely the first thing I would want to experience. I noticed that your visit to the city was part of your road trip to Budapest. 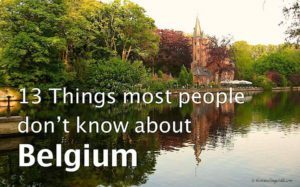 Did you visit the thermal baths there? Sign me up for those hot springs and healing waters! It looks so beautiful there. Thank you for sharing! Loved that movie! And the architecture in the town looks so elegant. I’m not a spa person but I could visit for the architecture alone. We didn’t go beyond Prague, which is beautiful too, but I believe heavily crowded nowadays. Ah, the architecture would get me excited too – I loved the buildings and bridges in Prague too, although I believe that nowadays the city is overcrowded with tourists. What a beautiful compilation. I would love to check out the natural thermal hot springs, as I haven’t done that before. Looking at your post, I guess everything in the list is worth a try. 🙂 Cheers!! Gorgeous! So bad I didn’t have time to visit when I stop by the country (we choose to visit Prague and Cesky Krumlov). Next time, I will not miss it.